Sydney: A woman has been pulled alive from an abandoned Australian mine shaft where she was trapped in searing heat for two days until a drone found her, police said on Monday. The 26-year-old vanished from her home in Lightning Ridge on Friday after going for a walk, sparking a large-scale search and rescue operation. She apparently tripped and fell down the eight-metre (26-foot) deep shaft, police said, surviving despite daytime temperatures of more than 40 degrees Celsius. 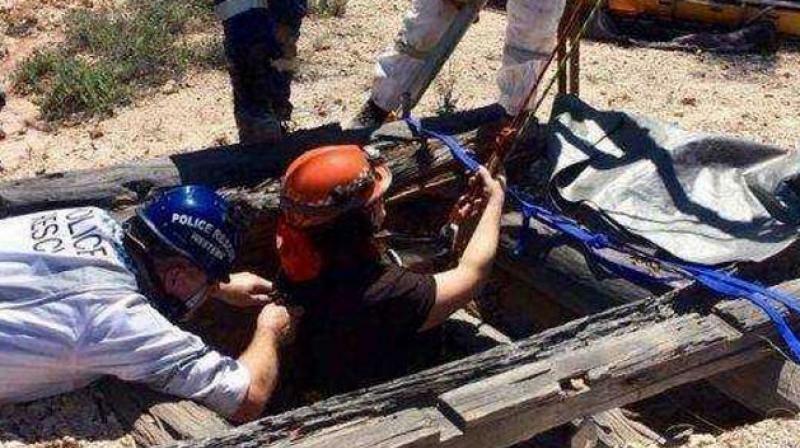 "The woman is lucky to be alive after police rescued her from a mine shaft in the state's north-west," New South Wales police said. "She was brought to the surface with the assistance of an officer using a pulley and harness, and provided water." The woman, who was found on Sunday, was taken to hospital in a stable condition. Lightning Ridge, some 770 km northwest of Sydney, is a world-renowned black opal mining centre, attracting hundreds of fossickers looking to hit the jackpot. Small-time miners have dug countless vertical shafts in the area, with some dating back decades.